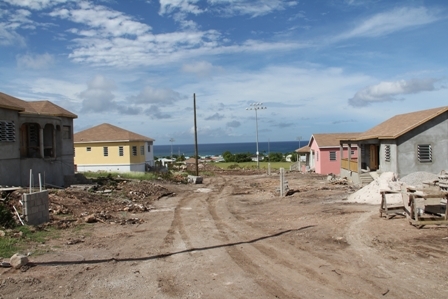 NIA-CHARLESTOWN NEVIS (October 26, 2011) — The Nevis Island Administration’s (NIA) policy on housing was never one of cost first. Minister of Housing and Lands Hon. 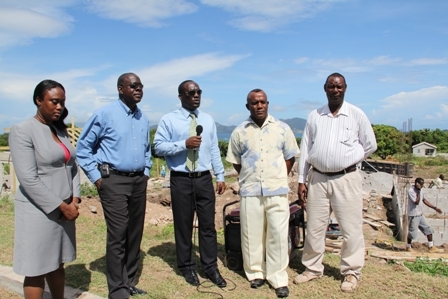 Robelto Hector who also serves at Chairman of the Nevis Housing and Land Deveopment Corporation (NHLDC) made the comment in an interview with the Department of Information on Tuesday while he toured four new housing projects under construction. Accompanied by other members of the NHLDC’s Board of Directors, the Minister explained that the first consideration of the NIA regarding housing was to respond to the social needs of the community. “The policy of the Government has been first to look at the social need. Truly, you cannot look at cost as the greatest factor to be considered. We have looked at the housing stock and have recognised that we are subsidising at times to the tune of almost $40,000. Again the overall aim is to satisfy the housing needs. 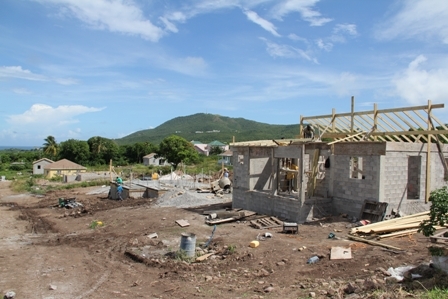 “Given the down turn in the economy, Government took that initiative in which we decided to subsidise the housing project stock in Nevis, so that we could make them [the houses] affordable for our citizens,” he said. The NIA led by Premier Hon. 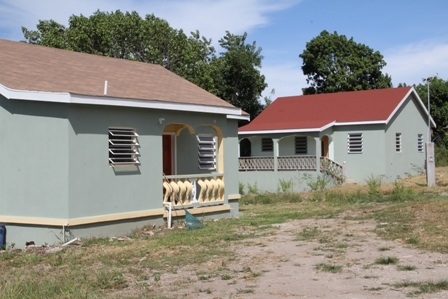 Joseph Parry, when it took office in July 2006 had pleged to provide affordable housing for Nevisians, a promise it kept and has continued in its second term in office which began in July 2011. To date there have been housing developments that have so far provided some 300 homes and work has already began on four new housing developments in the hope of providing an additional 400 homes. 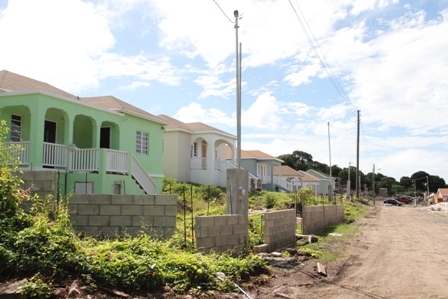 According to General Manager of the NHLDC Mr. Eustace Nisbett who was also on the tour, the Sugar Mill Housing Development in Hamilton spanned two acres and will make provision for 19 homes. “There are a mixture of homes here, a number of two and three bedroom designs and our featured single bedroom structure. The project is geared toward completion later this year around December 2011. “Currently we have all the infrastructure in place – water, electricity, telephone and we are currently awaiting the completion of the road works in the area,” he said. Work has also commenced on the extension of the Harbour View Housing Development at Ramsbury and According to Mr. Nisbett the first phase of that project concluded with the construction of 16 homes. Phase two which is ongoing will see the construction of 13 additional homes. “Like Sugar Mill Housing Development, there are a variety of homes here [made up of] a number of two and three bedroom homes. “The second phase commenced in June 2011 and is scheduled for completion in April 2012,” the NHLDC Manager said. Paradise Cove Housing Development in Jessups Village and Colquhoun Housing Development in Cotton Ground Village are the two brand new initiatives of the NHLDC. According to Mr. Nisbett, provisions had been made for six homes in each area and they are the first such developments, ever, in the Parish of St. Thomas. “The project at Colquhoun started in 2011 and is expected to be completed in April 2012. Paradise Cove would have started in February 2011 and is now completed,” he said. Other Board Members who were also on the tour were Mr. Patterson Flemming, Ms. Keisha Jones and Mr. Audra Barrett absent was Hon. Patrice Nisbett.